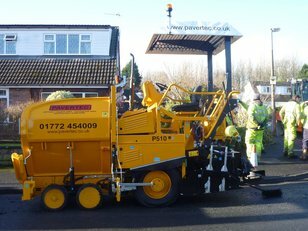 Established in 2004 Pavertec supply a range of operated and self-drive surfacing equipment along with expert surfacing gang hires to the North West. • having pride in our workmanship, providing high quality and friendly personal service to each of our customers. 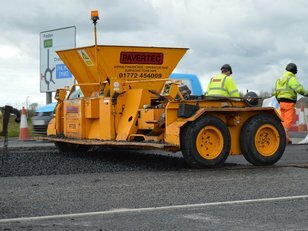 With our UKAS ISO9001, UKAS ISO14001, clause 942 accredited with all major suppliers, Safe contractor and National Highways Sector Scheme 16 we are committed to providing an excellent service. 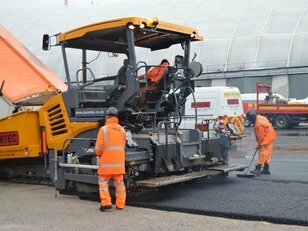 When it comes to high quality and professional workmanship, the combination of our own skilled teams and our high specification surfacing equipment ensure the best finish whether it’s a road, car park or other surfaces. 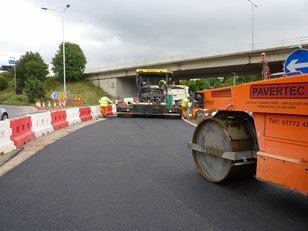 We work in partnership with numerous Councils and local authorities together with main and civils contractors, and are experienced in a diverse range of surfacing specifications and requirements. 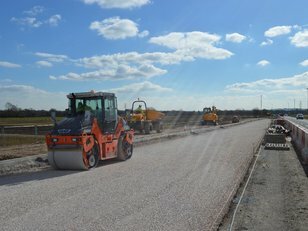 Our operatives are all fully trained and hold appropriate site qualifications (such as CSCS, CPCS and NPORS). In addition, each has undertaken our own rigorous training programme and are expert machine operators. This combination of skills and ongoing training ensures that contracts are completed quickly and efficiently, to the highest quality standards. 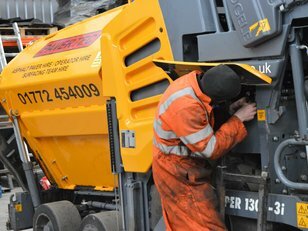 Whilst customers are able to collect from our premises, we offer a reliable delivery to site and collection service which can include timed slots 24 hours, 7 days a week.